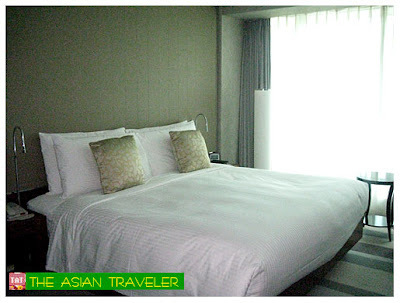 We got our baggage ready and transferred from Hotel Sofitel to Eton Hotel. 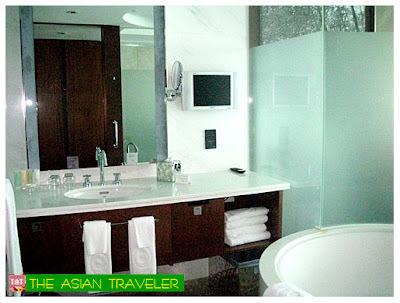 It's a newly opened hotel in 2007 situated at Lujiazui Financial District of Pudong in Shanghai. 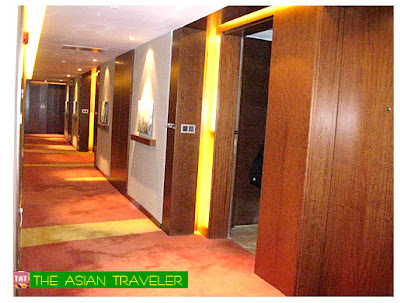 For those who do not know, this hotel is owned by Filipino-Chinese business tycoon Lucio Tan. 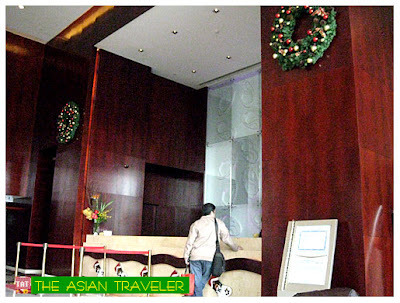 From the moment we stepped inside the lobby of this 462-room five star luxurious hotel we were struck by the impressive high ceiling, and the interior offers sleek lobby space. It was also decorated in oriental plants with lots of hanging red envelopes, a perfect set up for the upcoming Lunar New Year. 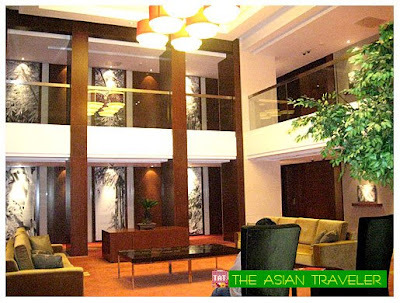 In addition, the hotel foyer features a chic lobby lounge / bar. 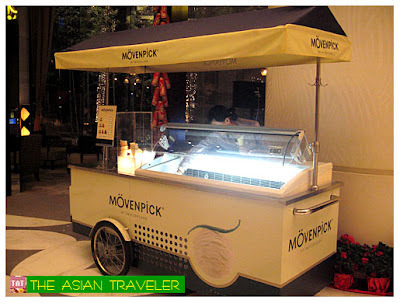 There's also a Mövenpick of Switzerland scooping station serving super premium ice cream. Quite a delicious ice cream, but a bit expensive though. What's unique about this hotel, there's a spacious atrium lounge between every two floors. 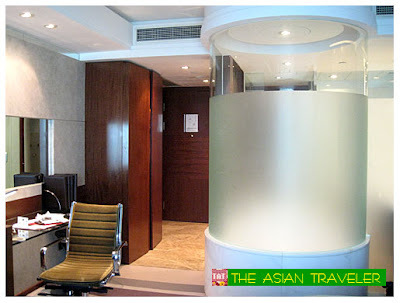 We had booked a Deluxe Room on the 29th floor, which was spotlessly clean. It includes a high speed internet access, IDD/NDD telephone, and air-conditioning, LCD TV with satellite channels, electronic key card, personal in-room safe, bathrobe, slippers, coffee and tea making facility, hairdryer and complimentary water. The lovely en suite glass wall bathroom has a circular bathtub with mini LCD TV on the wall, a separate shower and toilet cubicle. The plus side, tap water is most certainly potable. 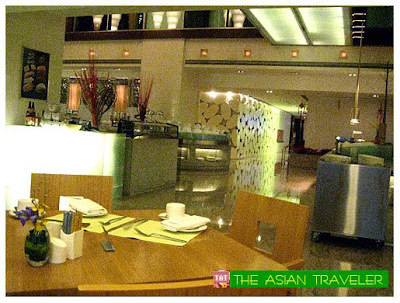 We had buffet breakfast for two at Eton Café located on the third floor. 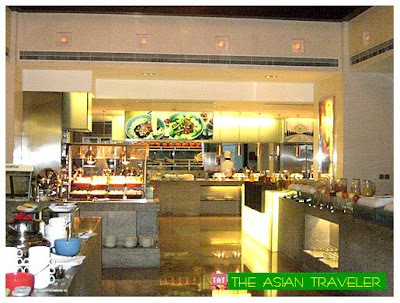 They offered Asian delicacies, Japanese and Western Cuisines. 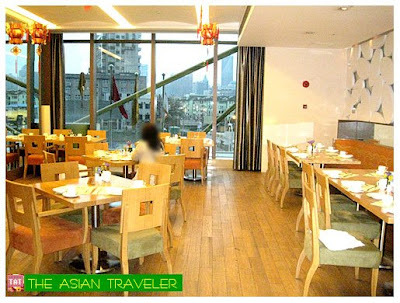 The hotel is nestled in a quiet part of Pudong area. But subway station is just opposite the hotel and taxis can easily be hailed. 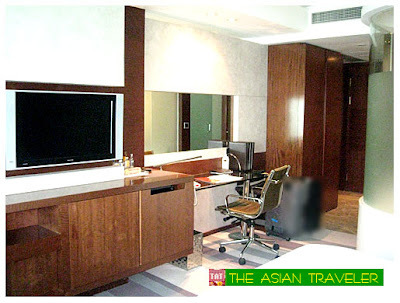 Some conveniences store, massage parlor and a small eatery are just a few minutes walk from the hotel. Eton hotel is located at No. 535, Pudong Avenue, Pudong New Area, Shanghai, China. 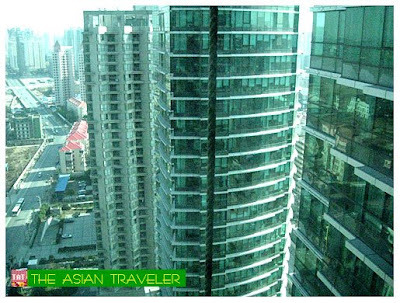 Around 15 minutes from Nanjing Road and 45 minutes drive from Shanghai Pudong International Airport. This hotel is luxurious! Really impressive. It has ice cream counter and lounge at every 2 floors. The room interior is also amazing and comfortable. How is the room rate like? Here's wishing you a productive week ahead! 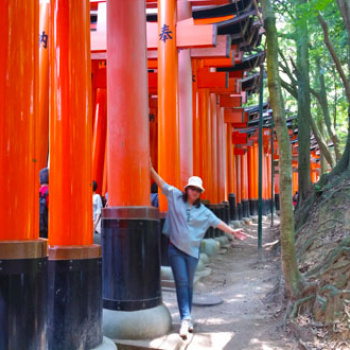 Do you have a blog and you would like to travel by plane for free? Just drop your blog and you'll get a real chance to win a ticket for free! 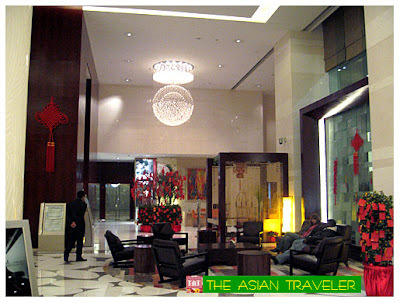 I didn't know Lucio Tan has a hotel in Shanghai and a very nice one, too. If I get a change to go back there, I'll check it out.